The stunning St. George’s Hotel and Spa Resort is luxury defined. If you’re looking for the ultimate Cypriot getaway, you couldn’t do better than to make St. George’s your home away from home. St. George’s is located on Chlorakas Beach and just a 5-minute drive from the beautiful Paphos harbour. There are a wide variety of room types available, including inland view rooms, sea view rooms as well as luxury and family suites. All rooms are beautifully designed, carefully appointed and delicately balance colours to enhance the atmosphere of your accommodation - with modern amenities found throughout. 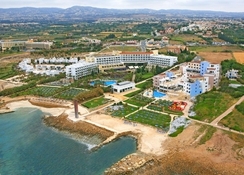 The hotel features Cyprus’s first grass 18-hole golf course, in addition, you can choose from a variety of exciting watersports, the Regeneration Centre and Spa, a Children’s centre for the little ones, and beyond. The hotel’s restaurants offer authentic cuisine from fine Mediterranean dishes to the freshest grilled seafood. There is also a lounge and several bars on-site for guests to unwind in once the sun begins to set. 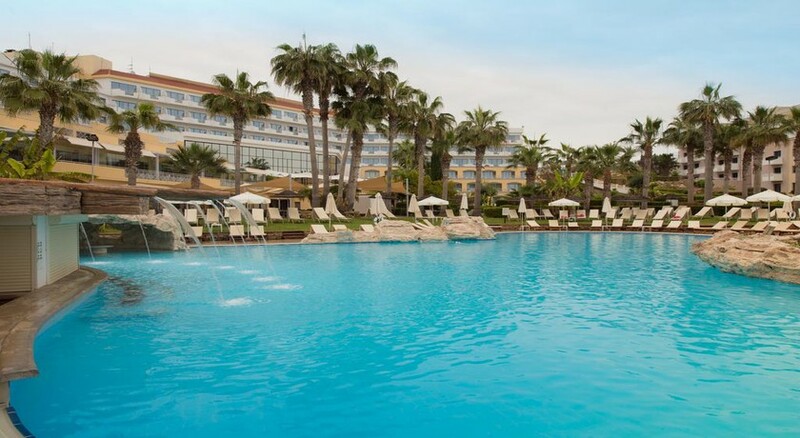 St. George’s Hotel and Spa Resort is served by all the major airports but the closest is Paphos International airport, being just 20 minutes away. 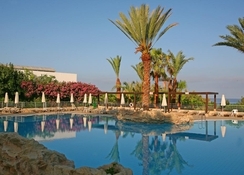 It’s ideally located a short drive from the centre of Paphos. You’re not short of restaurants outside of the hotel either, with several venues within easy reach offering a range of culinary delights. Major historical sites such as the Tombs of the Kings and Paphos Archaeological Park are just 3-4km away and can be easily reached by a short taxi ride - ideal for a fun day out with the family! All rooms come fully-equipped with modern conveniences including air-conditioning and central heating, complimentary Wi-Fi, LCD T.V, mini fridge, tea and coffee making facilities and much more. 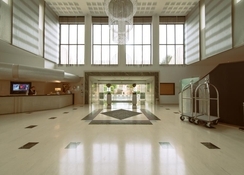 All rooms generally accommodate two people, plus an extra bed or baby cot which can be rolled away. The Superior Rooms have been recently renovated and are designed to feel extra luxurious, providing greater privacy and exceptional views across the secluded garden and the Mediterranean Sea. 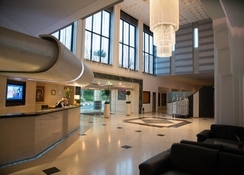 If you so choose you can add a touch of luxe and stay in the Luxury Suites, where you’ll have access to a lounge area, separate master bedroom and a jacuzzi. These spacious rooms offer guests exceptional comfort and extra amenities for those celebrating special occasions. There are also family suites which accommodate up to four people plus a rollaway bed, if you need. There are four restaurants to choose from at St. George Hotel & Spa Resort, including the main buffet-style venue named Drops, offering continental breakfast and international cuisines. The Sunset Grill brings you fun al fresco lunchtime dining and even features a ‘show kitchen’ with live cooking demonstrations using a grill. While Kionos Restaurant and Terrace offers buffet-style Mediterranean and international dinners. Nearby the hotel you’ll find something to suit all the family’s tastes, from great seafood dishes at Petros Family Restaurant to authentic Italian at Pepperoni Pizza. There’s no shortage of spectacular things to see and do at St. George’s Hotel and Spa Resort. Choose from activities ranging from aqua aerobics and water polo in the swimming pool, to tennis and scuba diving, in addition to an abundance of other entertainment including, karaoke, disco, gym facilities, a sauna, and kid’s clubs to name but a few. Of course, there’s the sandy beach, which is within easy reach of the hotel. If you do decide to explore further afield, be sure to check out stunning local attractions such as the picturesque Flower Valley, a slice of ancient history at Tombs of the Kings or the ethereal Kissonerga sunset viewpoint, which overlooks the Mediterranean Sea.